LOS ANGELES — For weeks, “Roma,” the Netflix movie directed by Alfonso Cuarón, has occupied an odd position in Hollywood: both omnipresent and mysterious. The combination of Mr. Cuarón’s powerful filmmaking and Netflix’s marketing muscle has pushed the drama about Mexico City life in the 1970s to the front of the Oscar race. Everywhere you turn in the movie capital, or so it seems, people are discussing the merits of “Roma” or gazing at a Netflix ad playing up the film’s 10 Oscar nominations. Yet the unique way “Roma” was released — a three-week exclusive run in theaters before arriving online, with Netflix refusing to disclose ticket sales — has left Mr. Cuarón’s film encircled in questions. Just who is watching it? And where? The director said Netflix had initially committed to theatrical release in about seven countries. “Roma” has now played in 41. In total, “Roma” has appeared in 1,100 theaters around the world since it was released on Nov. 21, according to Netflix. About 250 of those locations have been in the United States, where the film continues to run despite its availability in living rooms and on smartphones. Netflix released “Roma” on its global streaming platform (190 countries) on Dec. 14. In some cases, Netflix has paid theaters to show the film in a contentious practice that is the equivalent of self-publishing in cinema. Last weekend, “Roma” played in 100 theaters in the United States; 45 of those were new, including locations in Wisconsin, Maine and Pennsylvania, according to Netflix. Theaters in 12 cities have played the movie in 70-millimeter format, a premium film format associated with Hollywood spectacles of the 1950s and 1960s. “Roma” may be playing in more theaters than expected, but streaming remains its primary home. Netflix declined to say how “Roma” has performed online in the United States, but said it had caught fire in Mexico: Mr. Cuarón’s film has been viewed on 50 percent of Netflix’s Mexico accounts, or nearly four million, ranking as the service’s second most popular original movie ever in the country, behind “Bird Box.” To count as a “view,” at least 70 percent of the movie must be streamed, Netflix said. Netflix’s lack of transparency about viewer information has been met by howls of protest by competitors, who say there is no credibility to the data that does seep out, because there is no independent verification or context. In particular, Netflix has enraged art film distributors by keeping box office figures for “Roma” under wraps: Why should we have to withstand public scrutiny when they don’t have to? 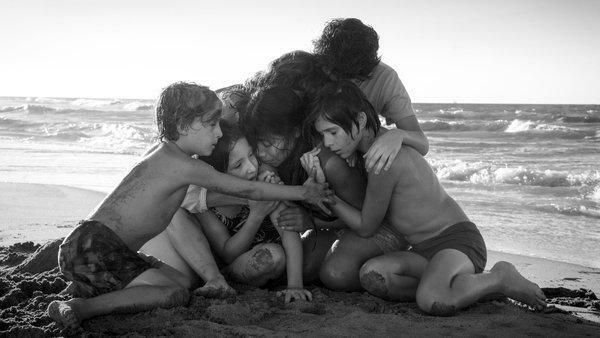 One person who has been publicly critical of Netflix is John Fithian, the president of the National Association of Theater Owners, who has contended that the company is only giving “Roma” a theatrical run as part of disingenuous effort to court Oscar voters and make Mr. Cuarón happy. “In its pursuit of prestige films and filmmakers, Netflix has had to turn to the theatrical space that it has too often denigrated,” he wrote in a recent column in Variety. The theatrical footprint for “Roma” is tiny by blockbuster standards. “Bohemian Rhapsody,” the Queen biopic, rolled out on 4,000 screens in North America in November and has played more than 10,000 locations worldwide over the course of its run. But “Roma” is not a Hollywood movie. It is an unhurried black-and-white film with characters who speak Spanish and Mixtec. By foreign-language film standards, its theatrical release has been respectable. Why trek to theaters and buy tickets if the same film will be available at home (or in your pocket) just a few weeks (or days) later? Mr. Cuarón, who has become something of a Netflix evangelist, said “Roma” had proved that kind of thinking wrong. On Saturday night, Valerie Navarrete and her mother, Martha, drove through a downpour to catch a 7 p.m. screening of “Roma” at the Regency 14 multiplex in Commerce, south of Los Angeles. Yes, they subscribe to Netflix and could have watched the film at home, Valerie Navarrete acknowledged. “But my mom really wanted to see it on the big screen,” she said. The screening attracted 26 people. The theater had about 100 seats. Tickets cost $10.